HALF THE PICTURE celebrates the groundbreaking work of female film directors and investigates the systemic discrimination that has, for decades, denied opportunities to far too many talented women in Hollywood. *Skype Q & A with Director Amy Adrion and reception following screening! *Director Amy Adrion in attendance! *Director Amy Adrion in attendance with Patricia Cardoso (REAL WOMEN HAVE CURVES, QUEEN SUGAR) and Melissa Goodman, Director of Advocacy/Legal Director at the ACLU of Southern California! *Director Amy Adrion will join a panel of Portland filmmakers, activists & producers for a post-film discussion! *Q & A with Director Amy Adrion following the screening which is a fundraiser for the Gender Equality Law Center! *Q & A with Director Amy Adrion, Laura Belsey (ARROW, CRIMINAL MINDS), Debra Kampmeier (HOUNDDOG, SPLIT), Jennica Carmona (MILLIE AND THE LORDS), moderated by Susan Skoog! *Director Amy Adrion in attendance at both screenings! *Followed by director Amy Adrion & F-Rating founder Holly Tarquini in conversation! *Hong Kong Director Jessey Tsang in attendance for a Post Screening discussion! *Hong Kong Director Kearen Pang in attendance for a Post Screening discussion! The struggle to be a woman and a filmmaker: "Our ideas seem less valuable"
Doc spotlight: "Half the Picture"
"Women Directors Tell All in Illuminating, Infuriating Doc"
‘Half the Picture’ director Amy Adrion opens up about her documentary, which features female filmmakers like Ava DuVernay and Kimberly Peirce celebrating sisterhood in Hollywood. "A celebration of the joys of filmmaking!" “This is no pity party. There is a sense that sisters are doing it for themselves and each other as more female decision makers make inroads behind the scenes." "Half the Picture plays like a cocktail party where everyone’s had a glass of wine and is ready to get real. Adrion bounces between interview clips as though the women are having a conversation. It’s not a screed – it’s fun and surprising"
2018 San Francisco Int'l Film Festival offers profound variety of films - “Half the Picture” is, in every way, heartbreaking... powerful to the point that it is infuriating"
‘Half the Picture’ speaks to the next generation of filmmakers at SFFILM Festival - "The message to aspiring filmmakers in Adrion’s Half the Picture is clear: it’s not easy but it’s so, so much fun. And if these women have done it, so can you." You Know About The Lack Of Female Directors In Hollywood. These Are Their Stories. 'Half the Picture': Film Review | Sundance 2018 - "THE BOTTOM LINE: Preach, Sister!" 19 Movies From Female Filmmakers to See At Sundance. "There’s timely and then there’s timely. 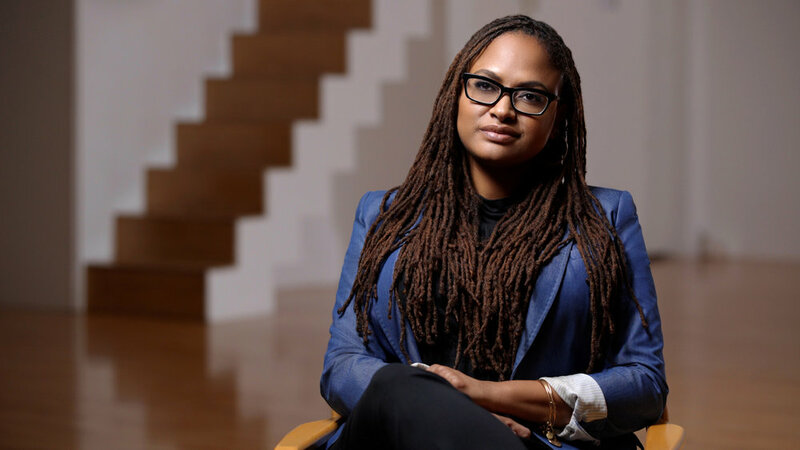 Amy Adrion’s documentary asks a slew of female filmmakers and industry luminaries in a business built on systemic discrimination. And has she got a murderer’s row of talking head talent to tell it like it is"
"Sometimes being on-the-nose is bad, but when “on-the-nose” means “a documentary about the lack of gender parity in Hollywood directing gigs coming to Sundance” then it’s just right." 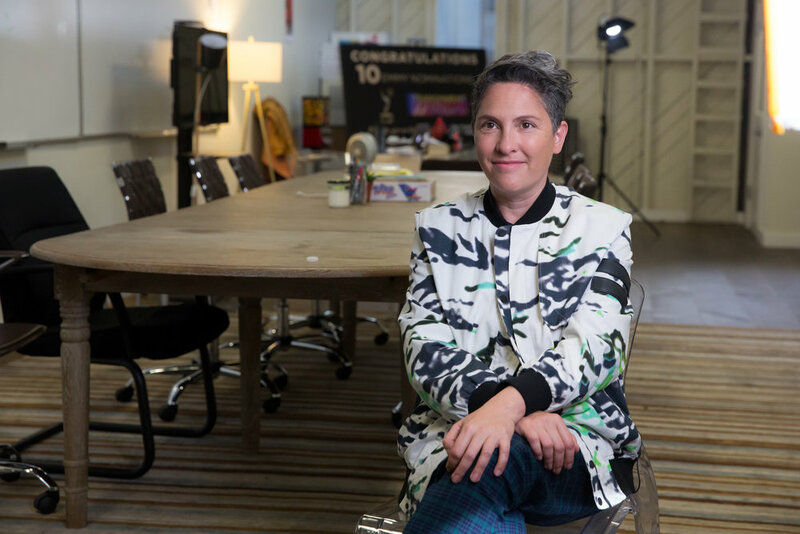 Amy Adrion is a director and writer whose work has screened at the Sundance, SXSW, Tribeca and Los Angeles Film Festivals, been broadcast on PBS and MTV, and won numerous awards. Amy’s debut feature, HALF THE PICTURE, celebrates the groundbreaking work of women film directors and had its World Premiere at the Sundance Film Festival in 2018. HALF THE PICTURE won the #WhatNext Award at Sundance: London, the Audience Award for Best Documentary at the Lighthouse Film Festival and the Impact Award at the Through Women’s Eyes Film Festival. Amy won a Directors Guild of America (DGA) Student Film Award for her narrative short SHOEGAZER, which was Executive Produced by Miranda July. Amy is currently writing a comedic coming-of-age script about a high school girls basketball team, based on her experience playing ball in suburban New Jersey, and is attached to direct PICANTE, a wild, feminist Western about a motley crew of rebellious women in the Old West. Amy is a graduate of the MFA Film Directing program at UCLA, with an undergraduate degree in Literature and Theology from Georgetown University. Amy grew up in Hillsdale, New Jersey and now lives in Los Angeles with her husband and two sons. David Harris is a producer and executive, currently the SVP of Development at Gunpowder & Sky, a multi-platform studio producing digital originals (T Bone Burnett’s DRAWN & RECORDED) and features (the upcoming zombie roadtrip movie EAT BRAINS LOVE). In his role as VP of Development for the MTV digital studio MTV(other), David produced MYRNA THE MONSTER, a short which premiered at Sundance, was an official selection at SXSW and is now in development with MGM and Caviar Content. He was also an executive producer of the SUPERVIDEO series of music videos (directors include Bryce Dallas Howard, Drew Barrymore, and David Ayer), the 2014 reboot of the animated cult classic LIQUID TELEVISION, and the music series $5 COVER, created by Craig Brewer and directed by Craig Brewer and Lynn Shelton. 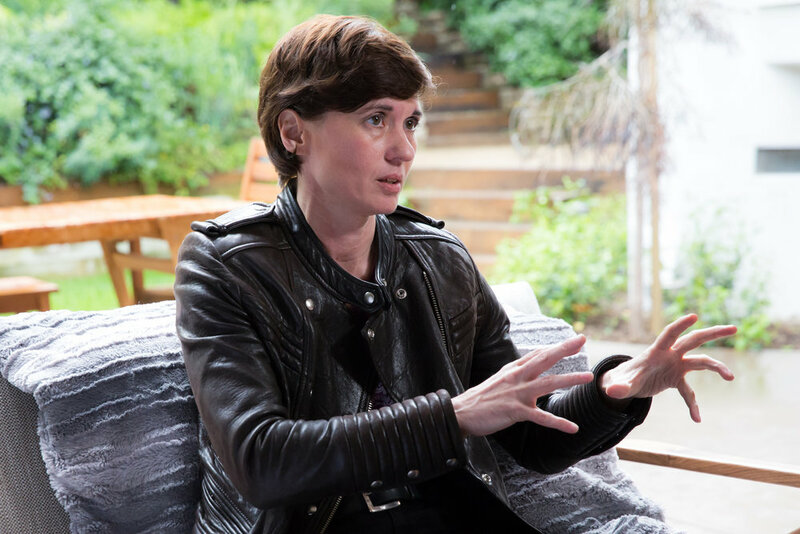 Yamit Shimonovitz recently received acclaim for her innovative cinematography on the documentaries THE PUBLIC IMAGE IS ROTTEN about rock icon John Lydon (Tribeca 2017) and LOS WILD ONES, which premiered at SXSW and won Best Cinematography at Uptown Film Fest. Her current work can be seen on television shows such as TRANSPARENT as well as in commercials for Apple, Intel and Whole Foods. Yamit was born in Israel, and is based in Los Angeles where she is a member of Local 600, the International Cinematographers Guild. Soraya Sélène recently won Outstanding Achievement in Cinematography at UCLA’s School of Theater, Film & Television. Her commercial work includes projects for Unilever, TMobile, Dove, Mattell, and Apple Music, shooting artists such as Mary J. Blige, Sacha Baron Cohen and Pharrell. Born in France and raised in NYC, Soraya moved to Los Angeles in 2006 to pursue her MFA at UCLA. She also studied at the Global Cinematography Institute under renowned ASC cinematographers. Kate Hackett is an editor and filmmaker who has edited four independent features, among them Sean Hackett's award winning HOMECOMING and David MartinPorras's crime drama STEALING SUMMERS. She recently edited a documentary series on the Sundance Institute's MENA Theatre Lab. Her short format work includes episodes of the Yahoo Screen series TINY COMMANDO featuring Ed Helms, Gillian Jacobs and Nick Kroll, and the short film GOT THE CHECK for actress/director Shiri Appleby, featuring Colin Hanks and Alison Becker. Four-time Emmy winner and composer of the Grammy Winning piece ASK YOUR MAMA, Laura Karpman maintains a vibrant career in film, television, videogame and concert music. Her distinguished credits include the series UNDERGROUND - in collaboration with Raphael Saadiq and John Legend - STEP - a Sundance 2017 favorite - Eleanor Coppola’s PARIS CAN WAIT starring Diane Lane and Alec Baldwin, Kasi Lemmons’ BLACK NATIVITY starring Jennifer Hudson and Forest Whitaker, Steven Spielberg’s miniseries TAKEN, the Showtime series ODYSSEY 5, and MASTERS OF SCIENCE FICTION for which she received several Emmy nominations. She contributed to Sophia Coppola’s 2017 THE BEGUILED, and scored THE REAGAN SHOW for CNN Films. Laura serves as an advisor for the Sundance Film Scoring Labs and is on the faculty of the USC Film Scoring Program, and is the founding President of the Alliance for Women Film Composers and a governor of the Academy of Motion Picture Arts and Sciences. Grammy Award-winning composer Nora Kroll-Rosenbaum collaborates with radical filmmakers and ingenious musicians on scores that include Stockholm, Pennsylvania, Powerless, After Fire, Remember Me, Joburg, Lenny, Regarding Susan Sontag, and The Cinema Travelers. She has been commissioned by the London Symphony Chorus, San Francisco Symphony, Seattle Symphony, Cabrillo Festival of Contemporary Music and received fellowships from the Sundance Composers Feature and Doc Labs. Nora is on the board of The Alliance for Women Film Composers.